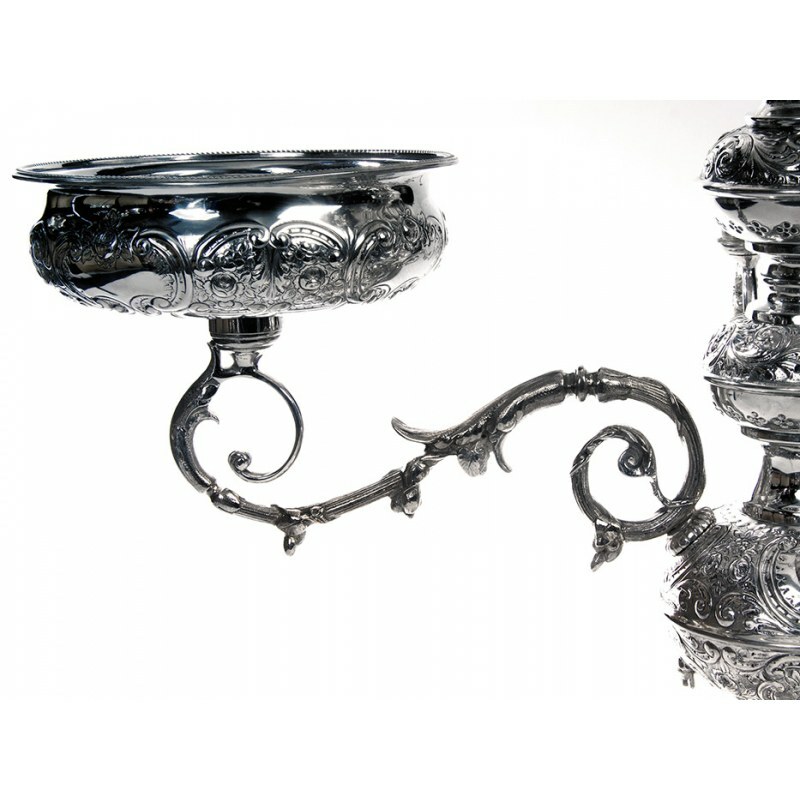 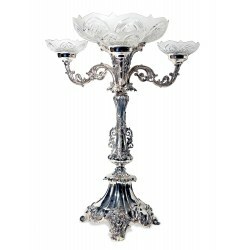 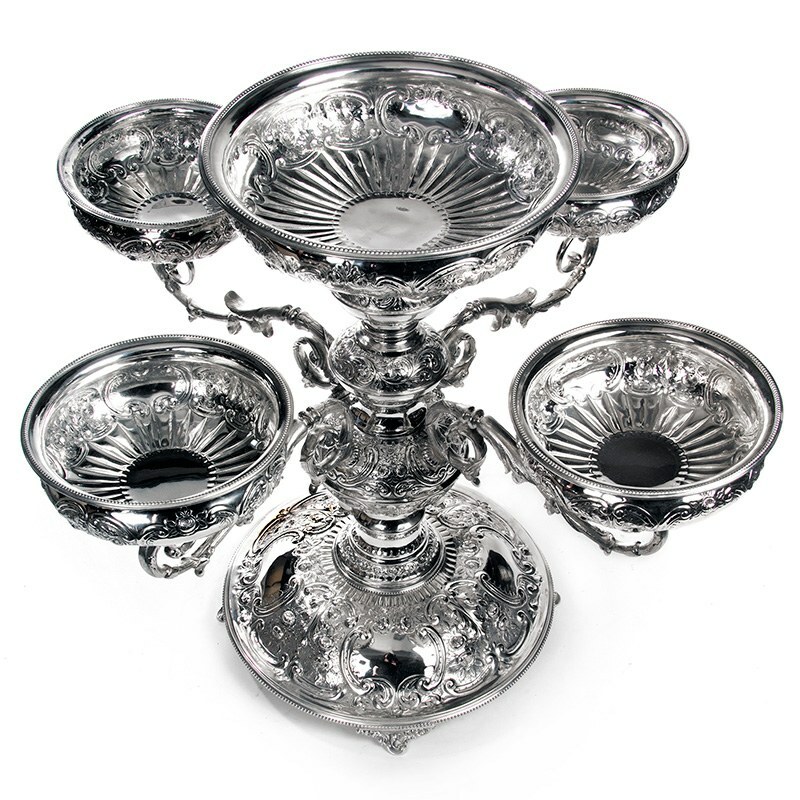 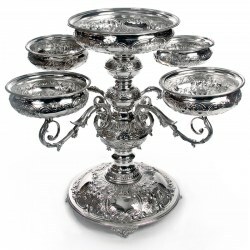 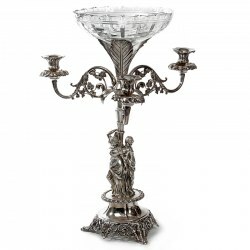 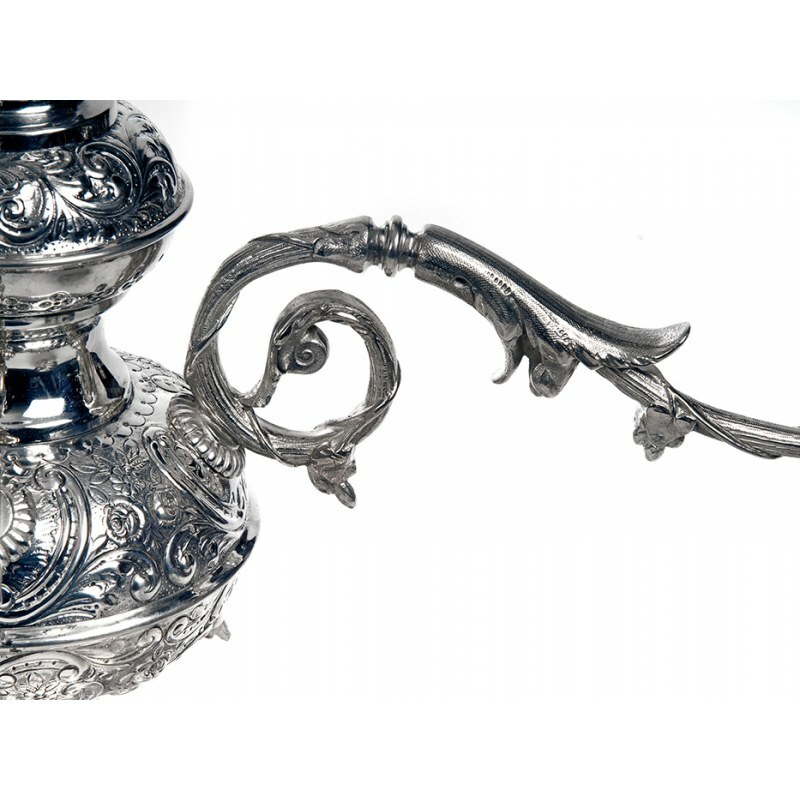 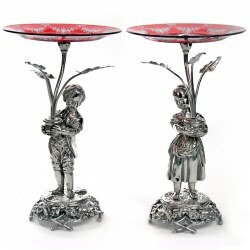 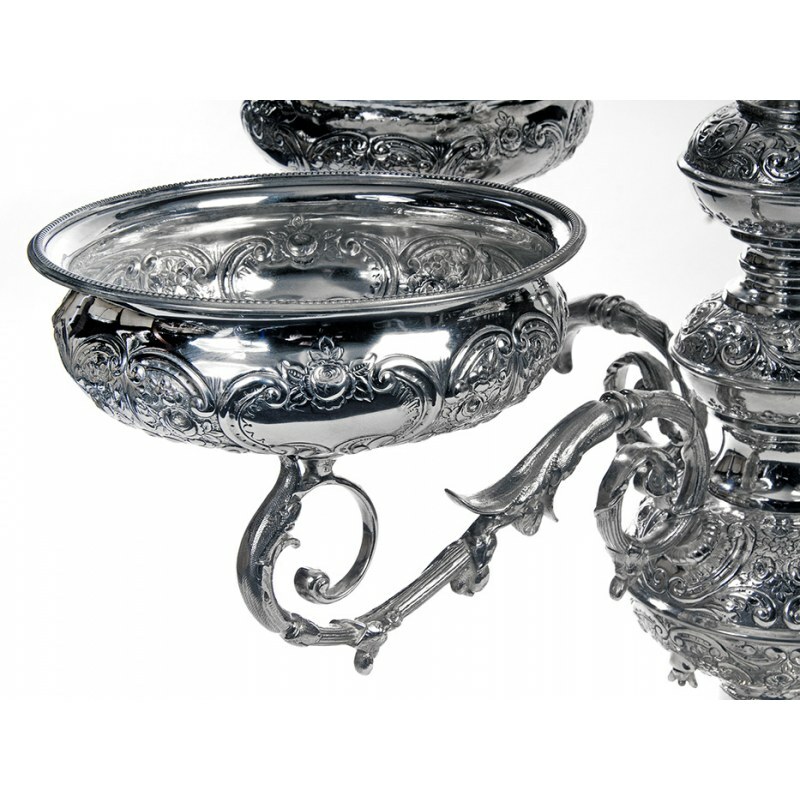 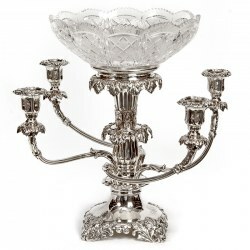 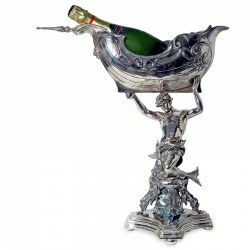 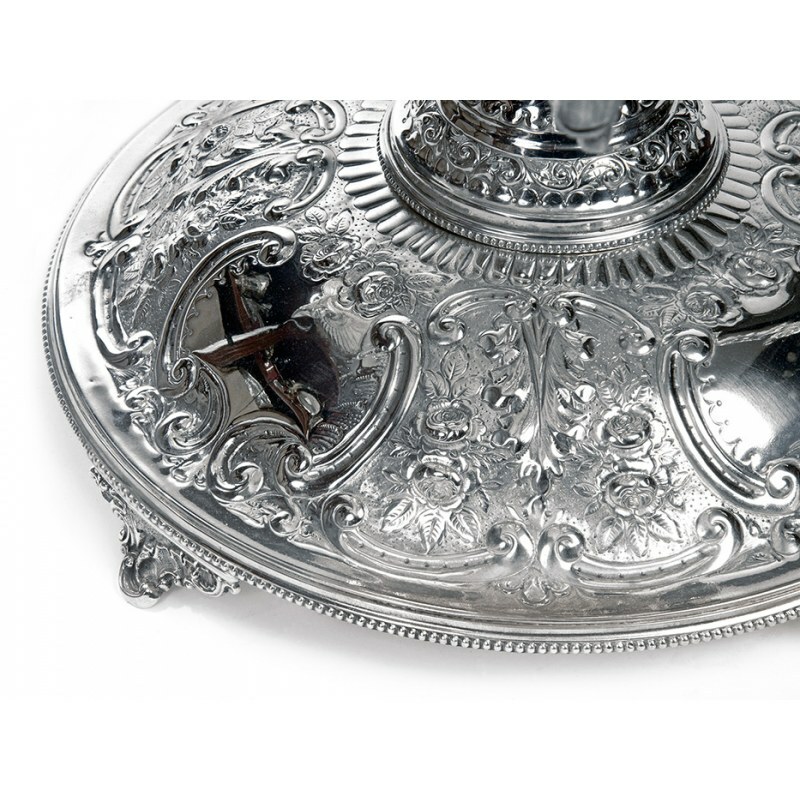 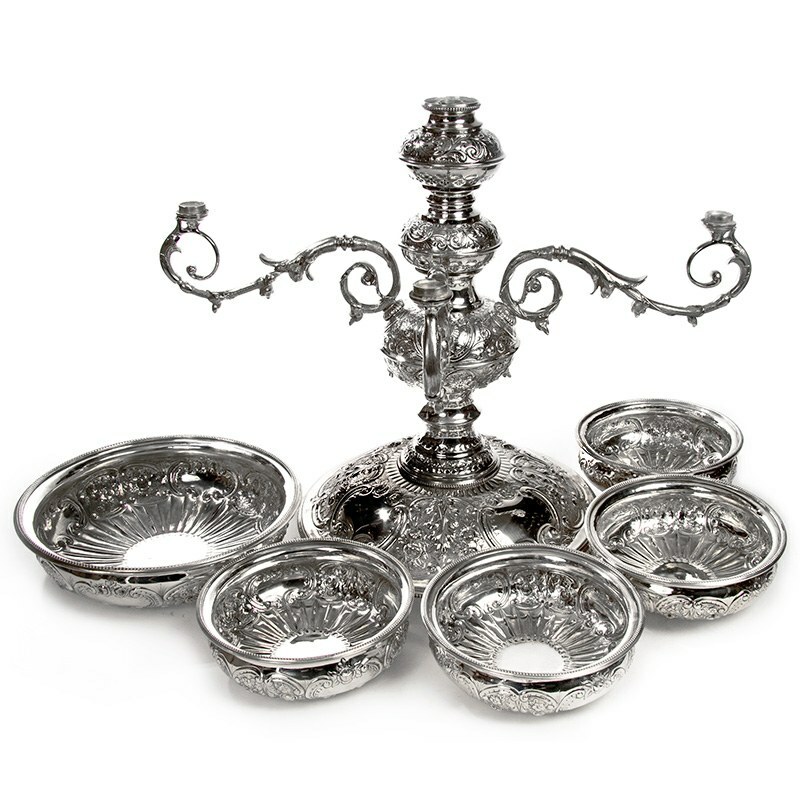 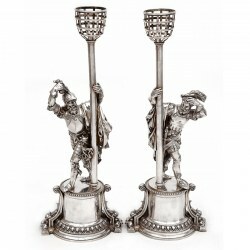 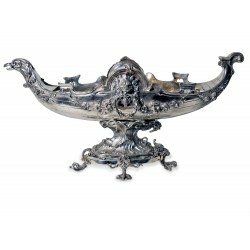 A stunning huge size antique Victorian silver plated epergne with four cast detachable scroll and leaf arms which hold 21.6cm (8.5") diameter chased bowls and the bulbous chased column holds a 33cm (13") diameter bowl. 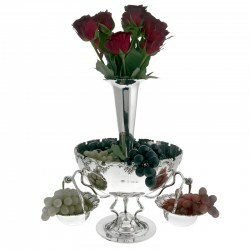 All five bowls are hand chased with flowers, scrolls and foliage. 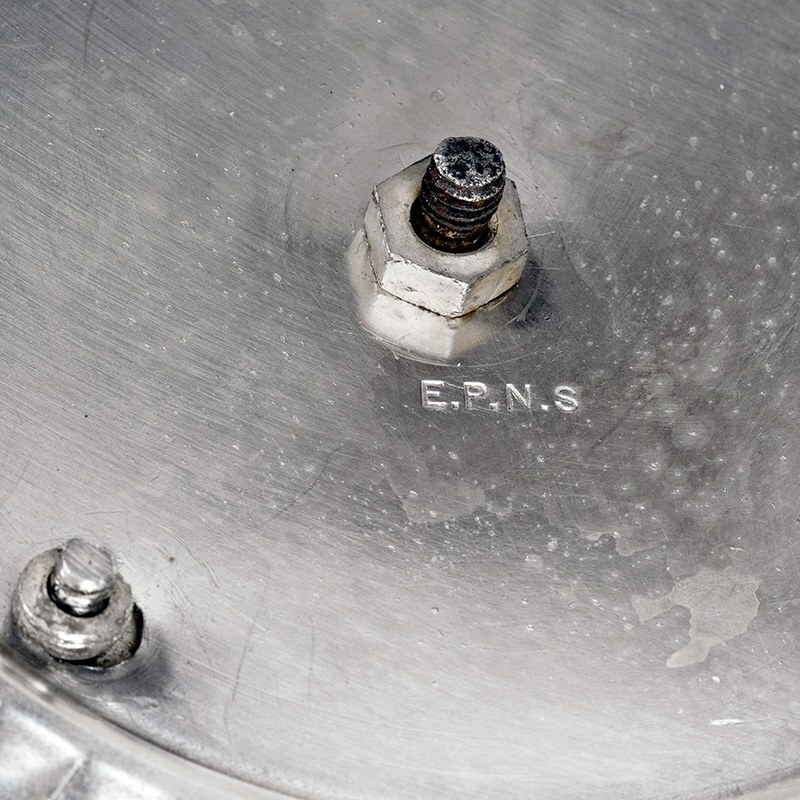 One of the 21.6cm (8.5") bowls has a repair around the border, but nothing serious. 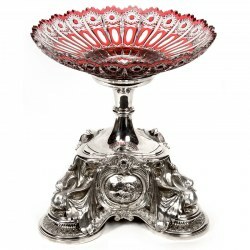 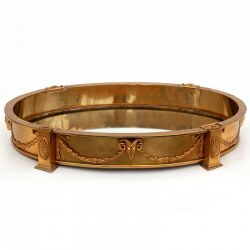 The large 38cm (15") circular base has a beaded border pattern with chasing that matches the bowls and has four vacant cartouch and stands on four scroll feet. 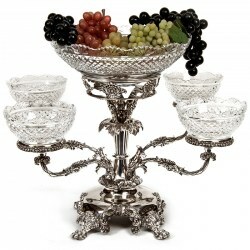 This really is a monumental and impressive centre piece. 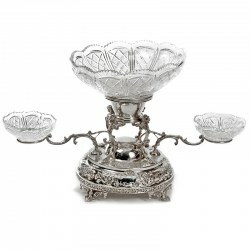 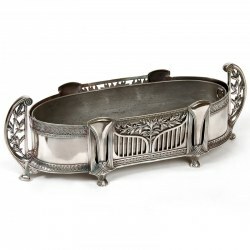 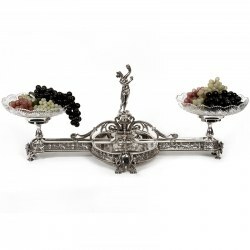 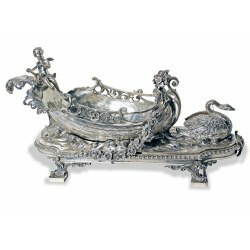 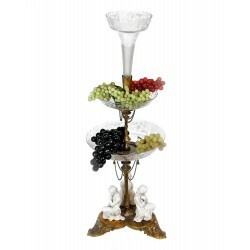 For more information or if you wish to purchase this epergne, please call or e-mail.